I saw this recipe from Ina Garten in House Beautiful Magazine. 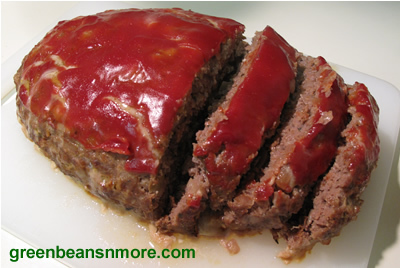 It was featured along with her recipe for Barefoot Contessa's Roasted Tomatoes, which are delicious and a perfect accompaniment to this meat loaf. As you can see from the pictures below this recipe did not disappoint. 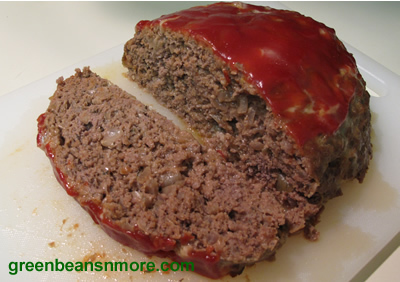 The meatloaf was perfect, in both appearance and taste. It was flavorful and moist. You'll be proud to serve this to family and friends. The thyme is a very special addition. It's becoming one of my favorite dinner recipes. 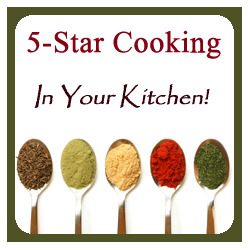 Please read my "cook's tips" following the recipe. Preheat the oven to 350 degrees F. Heat the olive oil in a medium sauté pan. Add the onions, thyme, salt, and pepper and cook over medium-low heat, stirring occasionally, for 8 to 10 minutes, until the onions are translucent but not brown. Off the heat, add the Worcestershire sauce, chicken stock, and tomato paste. Allow to cool slightly. In a large bowl, combine the ground chuck, onion mixture, bread crumbs, and eggs, and mix lightly with a fork. Don't mash or the meatloaf will be dense. Divide the mixture into 6 (10 to 11-ounce) portions and shape each portion into a small loaf on a sheet pan. Spread about a tablespoon of ketchup on the top of each portion. Bake for 40 to 45 minutes, until the internal temperature is 155 to 160 degrees F and the meat loaves are cooked through. Cook's tips: This recipe is for individual meat loaves. I made the recipe and split it into two separate meat loaves. I cooked one and then the next night I cooked the other. We were amazed to find that the meat loaf made with the mixture that had been refrigerated overnight had much more flavor. I used an 80%-20% ground beef mix. If you prefer you can make one or two loaves, cook for one hour to one hour fifteen minutes at 350 until the internal temp is 155 - 160 degrees F.